The state has the highest mortality rate in the country but a move by the Oregon Health Authority to expand expensive treatment could wipe out the virus, if medical modeling is correct. The Oregon Health Authority is moving to expand treatment for hepatitis C to everyone on the Oregon Health Plan who’s infected. That means that as many as 30,000 people could be treated for the virus, which often stays dormant for decades and then ravages the liver, causing chronic disease, cirrhosis, cancer and liver failure. 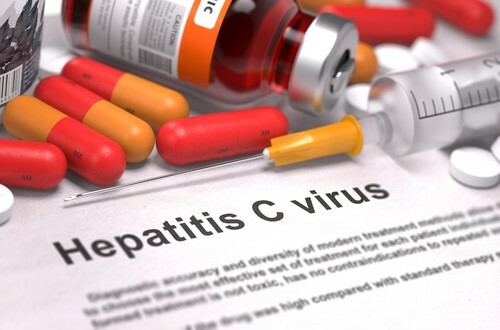 About 500 people a year die from the virus in Oregon, which has the highest hepatitis C mortality rate in the country, according to the Oregon Center for Health Statistics, and the third highest rate of infection, according to the federal Centers for Disease Control and Prevention. A recommendation last week by a state advisory committee on drugs and treatments to expand treatment for hepatitis C follows a recent drop in drug prices. When Gilead Sciences marketed its breakthrough drug Sovaldi in 2014, it priced each pill at $1,000 or $84,000 for a weeks-long treatment round. But in September, with cheaper competitors on the market, the company said it will market hepatitis C drugs for about a third that price. That’s welcome news to Medicaid systems, like Oregon’s which spent $45 million on hepatitis C drugs in 2017, accounting for 7 percent of the total prescription budget. Though the drugs have high cure rates -- up to about 95 percent -- their high prices prompted the Oregon Health Authority to ration their use, limiting them to patients with the most need. “When this medication came out it had very high costs, and so we had to aim our treatment at the highest priority individuals so that we could meet the entire needs of Oregon Medicaid members,” said Dr. Dana Hargunani, chief medical officer of the health authority. The state defined the highest priority patients based on a fibrosis score which considers the amount of scarring in the liver. Under health authority guidelines, coordinated care organizations that act as insurers for Medicaid patients treated those with fibrosis scores of F3 and F4, the highest. Those patients were mainly older people. Baby boomers account for the highest number of hepatitis C infections nationwide. The virus, spread through the blood, wasn’t even discovered until 1989, and it wasn’t screened out of the blood supply until 1992. People who got infected didn’t know it until they got sick. Screening still isn’t mandatory though health officials urge all baby boomers and others at risk such as IV drug users to get tested. In 2017, the Oregon Health Authority treated 650 people for hepatitis C, but at the beginning of this year it expanded treatment to those with a fibrosis score of F2. As a result, from January through September, Medicaid providers treated 965 patients for hepatitis C.
Oregon’s registry of hepatitis C infections lists just over 75,000 people. The state officials say that more than 100,000 other patients are likely infected but don’t know it. The health authority estimates that between 16,000 and 30,000 people with the virus are on Medicaid and that 45 percent of them have either level of scarring - F1 - or none F0. Under the new recommendation, all of them will qualify for a cure. Besides lifting the disease ranking, the advisory committee called for eliminating a requirement that individuals with substance abuse problems undergo addiction treatment before being treated for hepatitis C.
“The new expansion allows us to treat people who don’t even have symptoms of scarring in their liver,” Hargunani said. Oregon Health Authority Director Patrick Allen said he will approve the recommendation. Gov. Kate Brown included a request from the health authority for $107 million to pay for treatments in her budget proposal for the 2019 to 2021 biennium. Treatment is fiscally smart because it will save Oregon the cost of treating people with severe complications while stemming the spread of the virus, Hargunani said. While the state has been treating older people, there has been a steady rise in Oregon in new infections, mainly among young drug users who share needles. State analyses show that treating just 12 percent of those infected could eliminate the virus in Oregon in a decade.